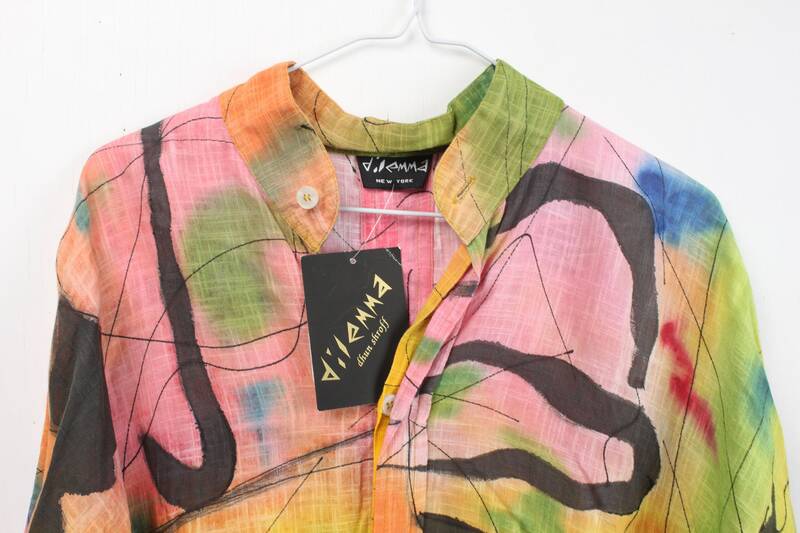 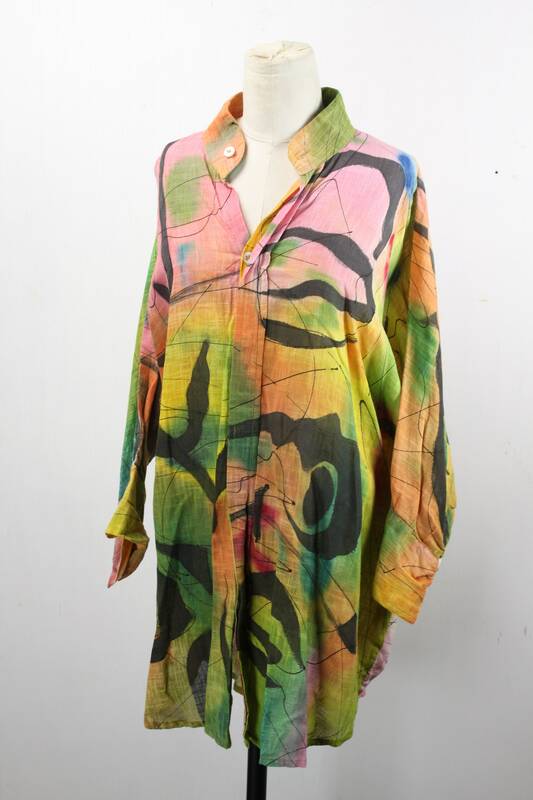 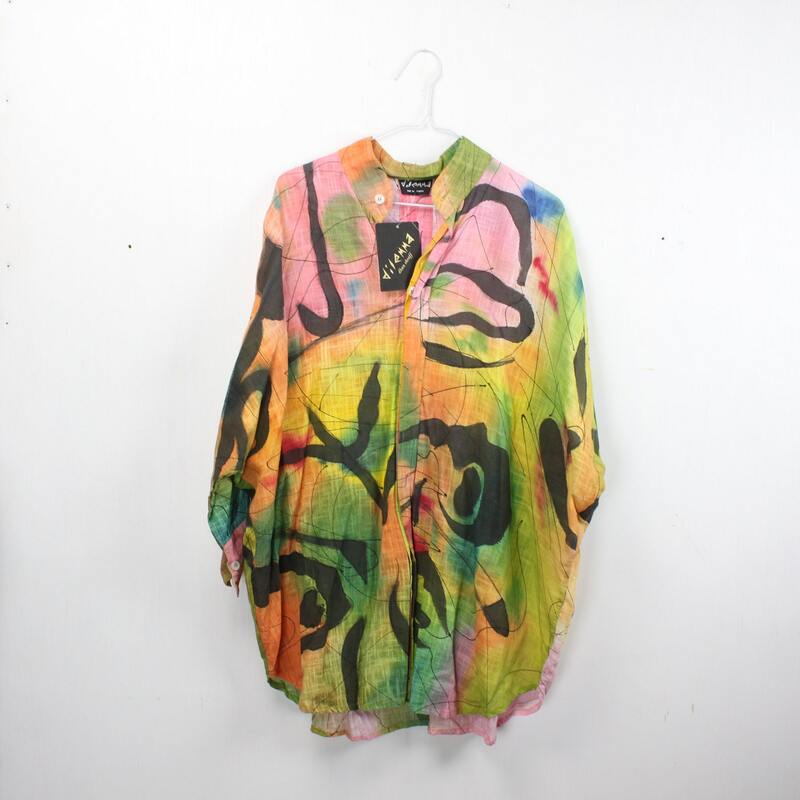 This one of a kind blouse by Dilemma NYC is in brand new / unused condition with all original tags! 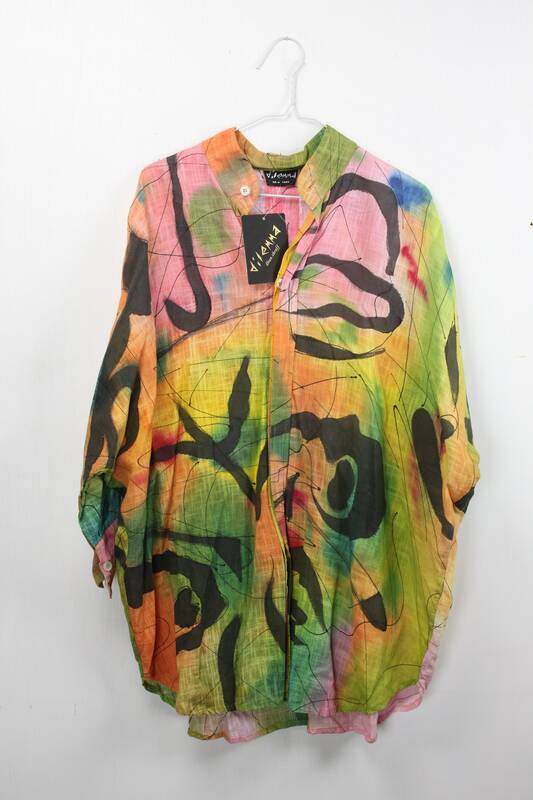 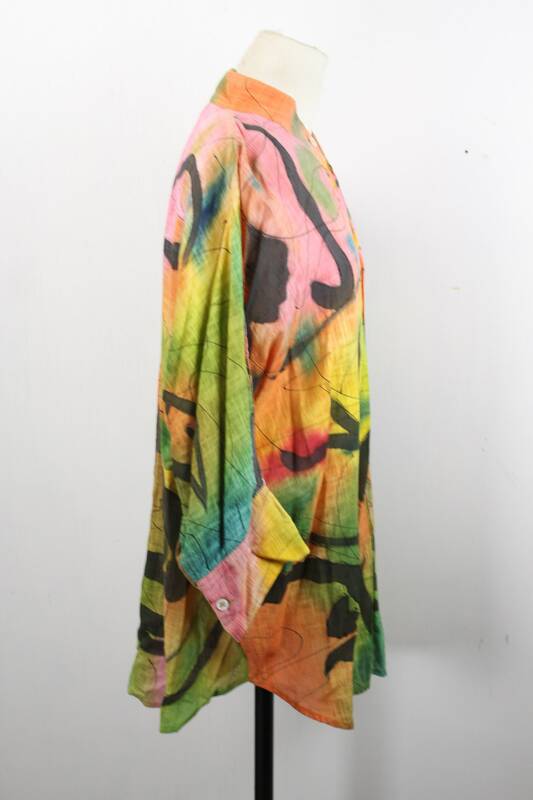 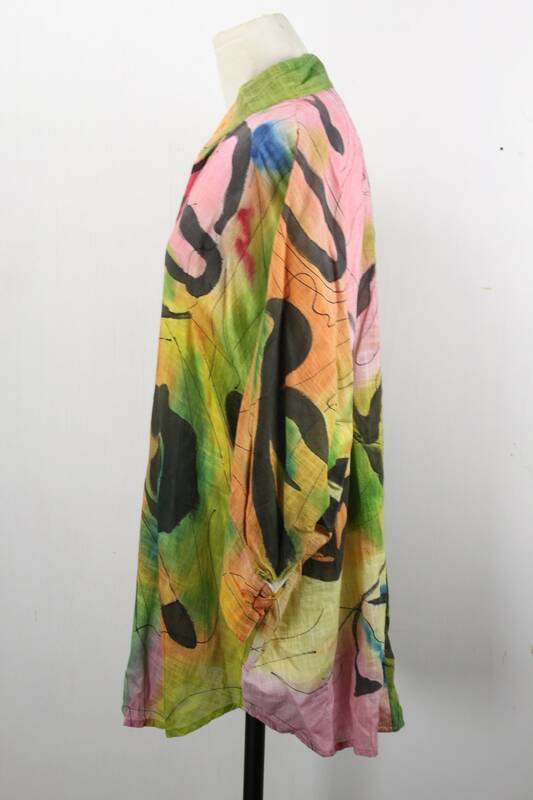 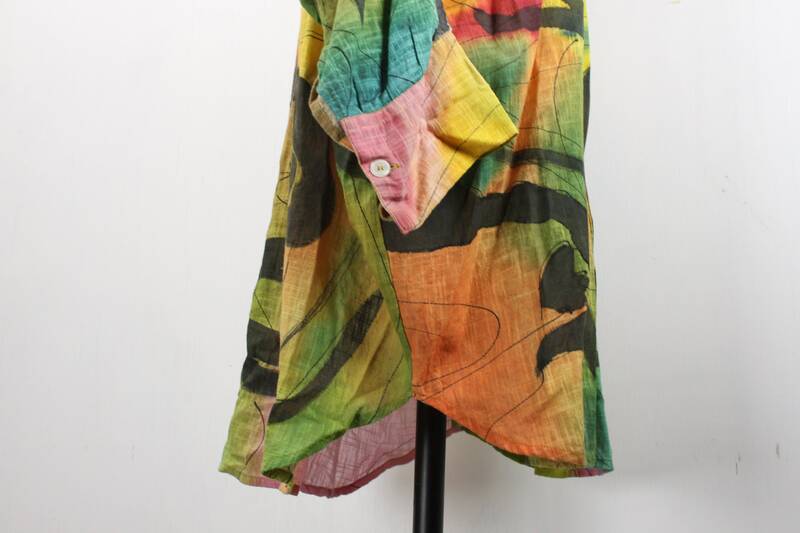 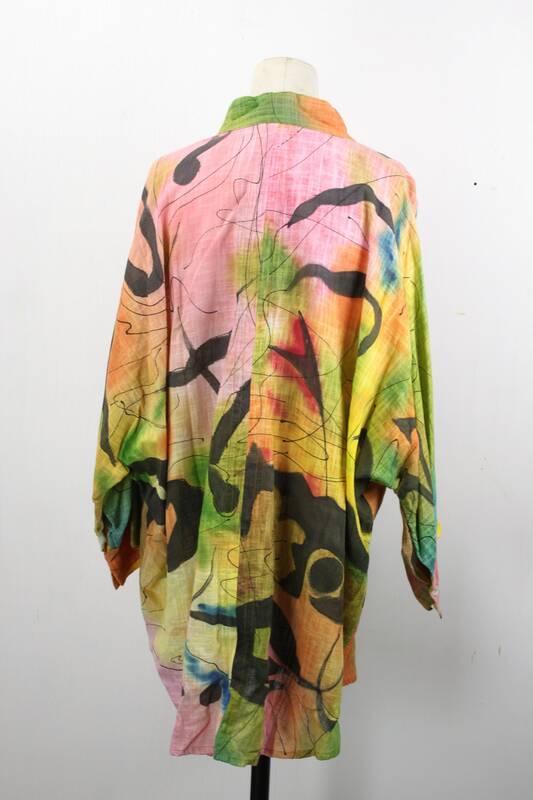 Made from 100% organic cotton fabric - this work of art was hand-painted with a color scheme and style inspired by the works of Jackson Pollock! 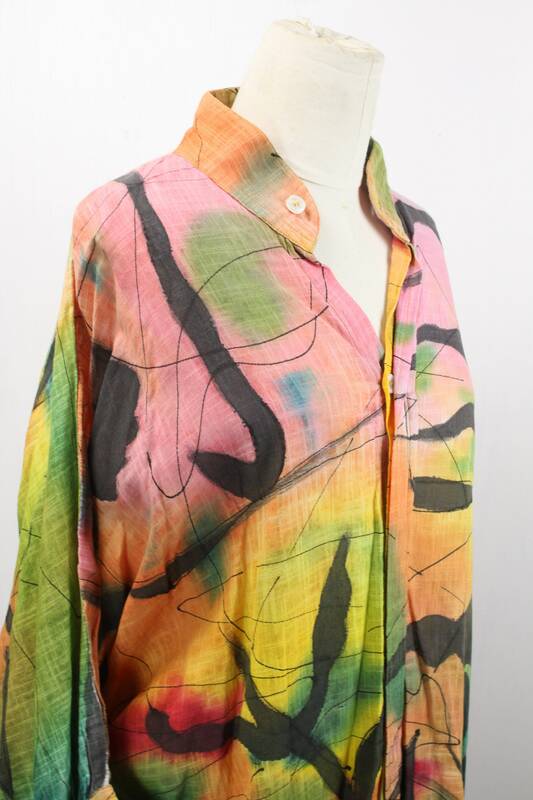 This one size masterpiece features 3/4 length, batwing sleeves, rounded mandarin collar and a 6 button closure. 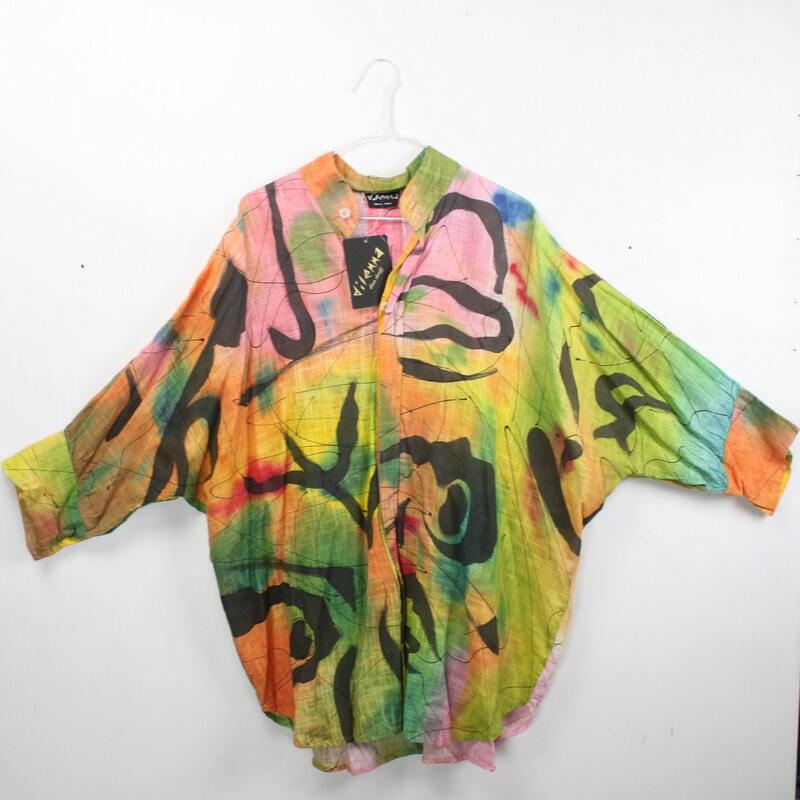 - under arm to hem: 19"
- Unused condition with tags.